"The Best Of Kim Stanley Robinson" "Shaman"
2312 is the title of a Kim Stanley Robinson novel first published in May 2012. It was published in hardcover on May 22 2012 in the USA and May 24 2012 in the UK; it will be published in paperback on June 25 2013 in the UK. 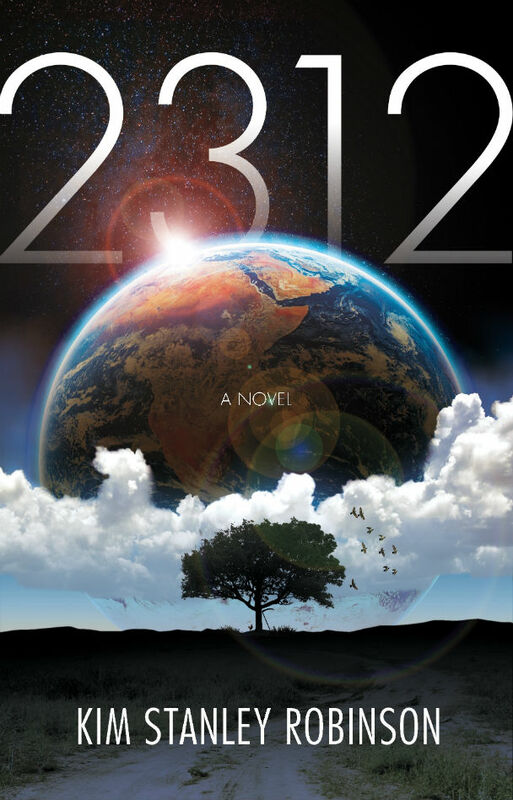 It was announced in November 2009 as the first of a three-book deal with publisher Orbit (however, 2312 is a stand-alone novel and not the first volume of a trilogy). "2312 will be set in our solar system three hundred years from now; a solar system in which mankind has left Earth and found new habitats. This will be a novel for anyone curious to see what our future looks like – a grand science-fictional adventure in every sense." Orbit Books launched a mini-site to accompany the publication of the novel, with a chapter, Extracts(1), illustrated and animated. 2312 is composed of a multitude of short chapters, each belonging to a certain type. Chapters written in the third person but from a point of view from a specific character, mainly Swan and Wahram, and to a much smaller extent Genette and Kiran. Collection of short texts on a similar theme. The texts often start and end abruptly, as if one were quickly skimming through findings of a web search. The texts come from various in-universe sources independent from the main characters, often historical or economic manuals or scientific research papers, at times written at a time after the events described in the main story, at times undetermined. List of items on a similar theme. Description of various places in the solar system, planets or moons, going from the pre-settlement geological description to the social habits of their settlers. Stream-of-consciousness-like thoughts or processes of a humanoid quantuum computer. By the year 2312, the solar system has been colonized, new political organizations have been adopted off Earth and technological improvements in biotechnologies and other sciences have expanded human lifespan, made a host of body modifications accessible, and unleashed projects at a scale unprecedented in human history. Mars has been terraformed, and Venus and several moons of Jupiter and the outer planets are under terraforming. Thousands of spinning and hollowed out asteroids have been turned into terraria, small worlds cruising the solar system and providing food to Earth. With 11 billion population, Earth still struggles with institutional sclerosis and poverty. New technologies keep emerging, such as the quantum computers (qubes). Inter-settlements alliances emerge and dissolve; the Mondragon Accord is one of the largest ones, unifying Mercury, the Jovian and Saturnian systems and several terraria. Asteroid belt: Vesta, Ceres. Some terraria are travelling anywhere in the solar system, but several are to be found in the asteroid belt. The story begins in media res, right after the death of the Lion of Mercury, Alex. She is mourned by her granddaughter, Swan Er Hong, a biome and terraria designer turned landscape and body artist. In Terminator, Mercury’s only city, Swan and Alex’s partner Mqaret, synthetic biologist, are visited by Alex’s associates in a loose secret project: Jean Genette, investigating officer at the Interplanetary Police, and Fitz Wahram, diplomat for the Saturnian League; they hint at possible foul play on Alex’s death. Swan discovers hidden messages from Alex and decides to deliver one of them to Wang Wei, qube expert on Io. She taxis to the Jupiter system using two terraria, discussing with Pauline, the qube she had implanted in her brain, and living a feral life in the wild biomes of the terraria. On Callisto, she meets up with Wahram and they meet with Wang on Io, where Wang’s base suffers a failed attack from an unknown assailant. Wang and Wahram explain Alex's plan, concerned with the balance of powers in the Solar System and the emerging power of the qubes. Swan travels to Earth on another terrarium, to Alex's contact (and Swan’s ex-partner) Zasha, in a flooded Venice-like New York. Wandering around, she is nearly kidnapped and meets a young Indian emigrant, Kiran, whom she smuggles out to space. She takes him to Venus where she leaves him to a contact of hers. On Mercury, Wahram and Swan are outside of Terminator when a sudden unidentified attack destroys the city’s tracks, resulting in the city being evacuated, exposed to the sun, and inevitably burnt. Wahram and Swan run for shelter, Swan gets massive radiation from a solar flare, and they hide underground. They have to walk in an underground corridor all around the planet for 45 days. In the relentless repetitiveness, they get to know each other; Swan whistles Beethoven, Wahram takes care of Swan’s radiation sickness, and they discover each other’s gender manipulations (Swan is a gynandromorph, Wahram is an androgyn). They are eventually rescued by a passing-by craft on the surface. 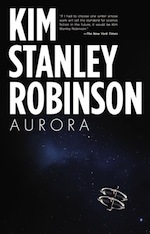 Kiran is hired by Swan’s contact Shukra and gets acquainted with the worker’s life on Venus: a large Chinese working force carries out huge infrastructure works for the future terraforming of the planet while the decisions are made by the obscure and paranoid Chinese-controlled Venusian Working Group and its hard-to-read inner politics. Swan points Kiran to another contact of hers, Lakshmi, a competitor of Shukra’s; eventually Kiran is used as a double agent, between Colette and Vinmara, employed by Shukra but covertly spying on both bosses’ operations and helping moving Lakshmi’s secret shipments across Venus. Kiran discovers that one of these shipments seems to be live people, another is human eyeballs. Knowing he’s seen things he shouldn’t have, Kiran flees Vinmara, for Colette, where he tries to contact Shukra. Swan and Wahram recover with Mqaret. Inspector Genette leads the investigation on the attack on Terminator. Swan accompanies him across the System, visiting the Vesta Zone of terraria. Genette theorizes Terminator was attacked by the same thing that happened on a depressurized terrarium: a multitude of small, undetectable pebbles converged at a single point; their orbits necessarily had to be calculated by qubes, however a calculation error would point to human culprits behind it all. In a terrarium, Swan has a deeply unsettling encounters three people who claim to be qubes in humanoid bodies. With Wang’s qube’s help they identify a ship that might have launched the pebbles, now inside Saturn’s atmosphere. Wahram is shaken from his everyday life at Iapetus, attending the Saturn League council meetings, living with his crèche and thinking of Swan, when he joins Genette and Swan in a trip to Saturn to that ship. They manage to trace back the ship to a Terran firm just before the ship sinks in the atmosphere. Wahram shows Swan his crèche and they go bodysurfing on the ice chunks of one of Saturn's rings. Swan visits Earth to collects inoculants to help rebuild Terminator. She revels in the open spaces of Earth; she visits Chad, China, Greenland; she discusses with Zasha the way the people’s poorness is manipulated into hating the spacers; she is abducted and drugged and returned as if nothing had happened. Back on Mercury, she helps get the new Terminator going by helping the farm work. Swan accompanies Kris, the new Lion of Mercury, to renegotiate the deal to provide focused light beams to the outer planets’ moons, as Mercury used to be the Vulcanoids’ administrator; however, the Saturn League (i.e. Wahram) negotiated directly with them and they no longer recognize Mercury’s authority. Swan is mad at Wahram and visits him on Venus, where he was negotiating with the Venusian Working Group to intervene on Earth and deal with the qubes. Swan’s vehement plea convinces Wahram to launch a drastic intervention on behalf of the spacers to end poverty on Earth, enact terraforming techniques on Earth as a kind of landscape restoration project, and start a revolution of full employment. Wahram works with Earth institutions to assist people, end poverty, do landscape restoration (e.g. raising the drowned Florida) and build housing for the poor, using spacer technology. There is inertia and resistance from certain Earth groups, averse to spacer interference, even sabotage. Wahram has to help Swan after she is arrested following the havoc wreaked by a sabotaged blimp with self-replicating machines in Africa. Wahram enacts Alex's project to repopulate Earth with extinguished or displaced animals that have been bred in the terraria. A “reanimation” occurs, where 12,000 terraria unite to simultaneously land all their animals on Earth, and spacers seed forests where there was wasteland or agricultural land. Swan is on the ground, tracking wolves; she eventually gets trapped in a melt pond in Canada with a young wolf and has to be rescued by Wahram. They camp together helping the animals adapt, and consummate their relationship. A meeting of all people helping Alex is called, on a new type of qube; Swan is to tell Jean. Swan travels in the Chateau Garden terrarium, where she plays lawn bowling with a young person who seems abnormally expert at it. She makes a connection between bowling and the coordinated pebbles attacks. With Genette, she attends a meeting with the rest of Alex’s group on Titan on the qube issue: they have identified about 400 humanoid qubes, they are self-programming perhaps as a result of their loosely constrained original objective to solve problems, they do not have emotions. Swan, Wahram and Genette travel to Venus on the ETH Mobile. Swan has Pauline and Wang’s qube further investigate and they discover an imminent pebble attack on Venus' sunshield. The ETH Mobile has to be evacuated so that it can accelerate and ram the pebble as they coalesce and prevent the sunshield from being destroyed and killing all of Venus’s population. The passengers jump out to space alone in their suits, hoping they will be rescued by passing ships. Wahram is hit by shrapnel and Swan nurses him as they wait long hours floating in space; Wahram declares his deep love to Swan. As they recover on Venus, Swan and Wahram are joined by Kiran and Shukra: Lakshmi's solution to the Venusian terraforming had been to bombard Venus with asteroid to increase its spin and get rid of its sunshield; Lakshmi building coastal towns at a lower level than others fit with that bombardment solution. Genette theorizes people not wanting the sunshield asked qubes for the best way to get rid of it, and that humanoid qubes and that the Terminator and Venus attacks are a result of a poorly constrained algorithm. Genette coordinates a cross-System apprehension of all humanoid qubes. Genette and Wahram apprehend the lawn bowler too, who proves to be the human designer of the humanoid qubes. The qubes, the lawn bowler and his co-workers are gathered on Pluto/Charon: their punishment is to be placed on the Nix starship and exile them from the solar system. A lab assistant was letting some human qubes go free; one of them comes across Zasha in Jersey, and Swan releases him instead of capturing him. With Mars cleaned of its qube 'infection', Genette's exile status is revoked. Wahram proposes to the Saturn League a three-party commercial deal between Saturn, Mars and Mercury. Swan settles in in Mercury, wonders about monogamy. When Wahram visits, with Pauline's, Swan answers 'yes' to his proposal to marriage. Wahram and Swan and their friends gather in Olympus Mons, on Mars. With Genette their witness, they marry, for life. Born in 2177 (about 137 years old). From Mercury, grand-daughter of Alex; after her parents died, Alex and Mqaret were like parents to her. She used to be a biome and terraria designer, worked for a time for Shukra on Venus, now turned land artist (goldworthies) and body artist (abramovics). An impatient, mercurial character, a loner. Adept of body modifications, among other things she had parts of skylark brain added to her, making her a good whistler; she ingested alien hallucinogenic bacteria from Enceladus; she added a qube to her brain, Pauline, with whom she converses often. A gynandromorph, she had a child with Zasha in the past who died, and another one with whom she doesn't keep contact. Born circa 2201 (about 113 years old) from a wombman from Callisto (a 3rd generation Jovian) and an androgyn from Mars (a political exile). From Titan, a diplomat for the Saturnian League, the League's Mercury ambassador. He lived on Titan, Herschel, Phoebe, Iapetus (where he studied terraforming governance and diplomatic arts), Hyperion. He was a very close friend of Alex. A calm, saturnine character. Very tall, “prognathous, callipygous, steatopygous, exophthalmos”, he looks like a toad. An androgyn (he also gave birth once), he lives with his crèche of six other adults and 8 children on Iapetus, and takes some hormones (vasopressin for monogamy, oxytocin for social memory). A great admirer of Beethoven (and also Tchaiskovsky, Brahms). From the asteroids, senior investigating officer at the Interplanetary Police (for the league); he has a wristwatch qube, Passepartout. A small (i.e. about a meter tall) of indeterminate gender, “aged, slender, with a neat blond ponytail”. Genette grew up on Mars, worked 40 years there, then was exiled for a crime he didn't commit; now he hates Mars. He was a close friend of Alex. A youngster from South India who moved to the US East Coast as an economic immigrant, he was smuggled to Venus by Swan. The Lion of Mercury. Mqaret's long-time partner and Swan's grandmother. One of the leaders in building the Mondragon Accord. Set up an informal group of about 15 people across the Solar System, the “Alexandrines”, to investigate the Earth's developmental problems and certain mysterious events involving qubes. She died at 191 on Mercury. Alex's partner for 70 years and Swan's step-grandfather, lives on Mercury. A synthetic biologist who works on longevity treatments. Swan's partner for a time, they separated after their child died. He works at the Mercury House in Manhattan, on Earth, he was Alex's main contact on Earth. A Venusian boss, Swan had worked for him and had worked with Alex. A Venusian boss, in competition with Shukra. Principal investigator, one of the Jupiter system's foremost experts on qubes (he has two founding algorithms named after him). He works from a base on Io where his qube is one of the most powerful System-wide. Accelerando: The historical period where, thanks to technical advancement, humanity colonizes the entire Solar System in a fast period of economic growth and optimism. Charlotte: In an Extracts chapter, Charlotte Shortback is credited as the historian that created a periodizing system for the last few centuries' history, from the Dithering to the Balkanization. In the Mars trilogy, Charlotte (no family name given) is a Martian historian that proposed a similar periodizing system, up to the Accelerando; she was from Dorsa Brevia (Latin for “short back”). Peter: When Swan and Wahram are stranded in the orbit of Venus, Swan recalls an old Martian song about a Peter being marooned on orbit around Mars. In the Mars trilogy, Peter Clayborne was marooned in Martian orbit before being saved by a passing-by spaceship. Mars: 2312's Mars has a space elevator at Pavonis Mons and weddings are traditionally conducted in a common ceremony on top of Olympus Mons. In the Mars trilogy, Pavonis Mons also has a space elevator and early in the planet's history John Boone established a festival on top of Olympus Mons that became an annual tradition. The structure of the novel, with the different types of chapters, is inspired by John Dos Passos and his U.S.A. Trilogy (1930-1936). This method was reused by John Brunner in Stand on Zanzibar (1968), a landmark SF novel for which Robinson did the preface in a 2011 edition. Body art is referred to as “abramovics” in 2312. Swan's interest in body art and performance art is inspired by Marina Abramovic, the New York-based Serbian artist, an important performance artist. Land art is referred to as “goldsworthies” in 2312. Swan's and many spacers' interest in land art is inspired by Andy Goldsworthy, the British land artist. Jean Genette is modelled after Hercule Poirot, Agatha Christie's iconic Belgian detective. “Dhalgren sun”: a reference to Samuel R. Delany's Dhalgren (1975). “Ursuline culture”, on the result of gender modifications: a reference to Ursula K. Le Guin and her novel The Left Hand of Darkness (1969), which has a culture where its members can change gender at will. “Fuligin black”: a reference to Gene Wolfe's The Book of the New Sun (1980-1983) and its main character, Severian, who has a fuligin black coat. I'm a little bit dissapointed with KSR's reflections on consciousness and cibernetic psichology. I think this short paper by the soviet philosopher E.V.Ilienkov is enough to understand the limitations of the artificial consciousness approach in the book. I'm not sure how contact a person who has editorial clout over 2312... I've found a couple of typos to date in the hardback copy sold in the UK, and thought you might like to know if you are thinking of re-publishing. 1) Page 47 - 7th paragraph - 2nd line - insert way after their. 2) Page 64 - first paragraph - Io is not the innermost moon of Jupiter, it is however, the innermost of the big four moons of Jupiter. A couple of words to clarify perhaps? PS I don't go looking for these things - these are the ones that jumped out at me. Please delete this comment once you've made the appropriate notes.